I bought this for £3 from Fopp (far too cheap to resist) as I had enjoyed the film and wondered what the book was like.. and it really is very good. 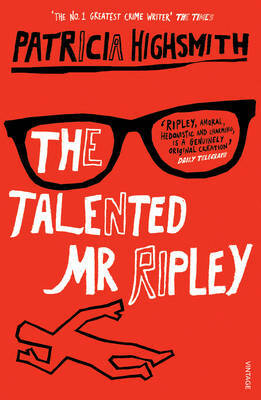 I will almost certainly be reading more of the Ripley books. Considering it was written over 50 years ago, it feels surprisingly undated, and apart from a few obvious things (speed and ease of communication being the most telling) the story, language and pace of the book all have a remarkably contemporary feel. The story concerns “average” Tom Ripley heading off to Italy to locate Dickie Greenleaf, the son of a wealthy American, to try and persuade him to go home. Once there however, Tom starts to think that Dickie’s privileged life is better than his own and that if somehow they could change places…. This is the que for an intriguing and clever tale of deceit, travel and murder. The film follows the plot of the book pretty closely, with the main differences being only cosmetic: Jazz is not mentioned, Dickie can’t play the trumpet and the description of Marge Sherwood is of a plumpish, plain girl (nothing like Gwyneth Paltrow then), but the book fleshes out Tom’s changing character brilliantly, as he gets deeper and deeper into trouble and needs to be ever more resourceful to keep the pretence going. I am returning to Patricia Highsmith after rediscovering a short story she wrote about giant man-eating snails. The Ripley books are next up in line. Thanks. the giant man-eating snails story sounds like it might be worth searching out..